The Warlock is a dedicated ranged class with great powerful abilities which have some significant casting times and long cooldowns. In general, it needs one of two strategies to be employed: keep enemies at bay or incapacitated long enough to cast the high damage abilities again or reduce cooldown times by expert timing of other abilities. The most symbolic aspect of a Warlock is the ability to summon a Thrall as ally on the field. Thrall can be useful in engaging an enemy when the Warlock is busy setting up the scene for their next big performance. 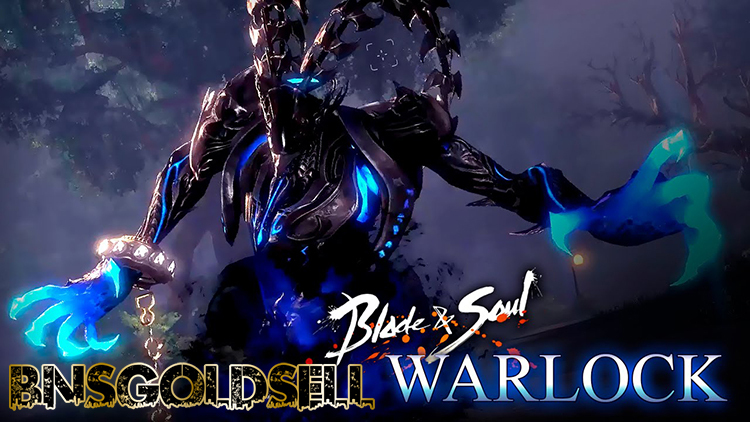 You can buy Blade & Soul gold from BNSGoldSell, we have huge in stock and we promise fast delivery. If you want to be a Warlock, you have to know how to eliminate opponents quickly and efficiently. And you have to avoid being easily defeated and overwhelmed. Their combos need to be set up on either resetting or reducing the cooldowns or their primary damage-dealing abilities - Dragoncall and Wingstorm - triggering instant-cast scenarios. In order to keep with the shamanistic theme, Warlocks can apply certain afflictions on their opponents, which can increase the damage dealt by some spells. However, a target on an enemy allow the Warlock to instant-cast spells and direct the Thrall’s attention. In Arena PvP, Warlock has a nice substantive set of defensive skills to accompany their powerful offensive skills but still suffers from a glass cannon status that could be easily exploited. Since Thrall’s cooldown can’t be rest and their presence alerts the opponent for the potential for highly powered ablities activating on the sacrifice, you should tactically use Thrall. As for the priority, instant-cast abilities is the most important, fast casting speed and skills is relatively less. Among skills, pierce defenses are over high-damaging abilities. For party play, the Warlock offer an amazing support buff. With great time-winding abilities, they can extend out their party members by triggering Soulburn, which can rest the cooldown of every member’s skills and give them the Awakened stat. Once active, other specific abilities for each class will become Awakened can gain a big power boost on top of the general buff.